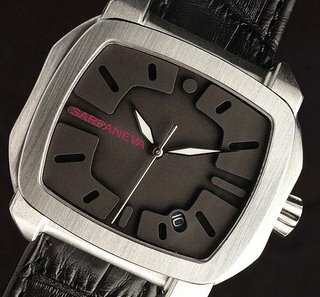 The 'Monaco V4 '. 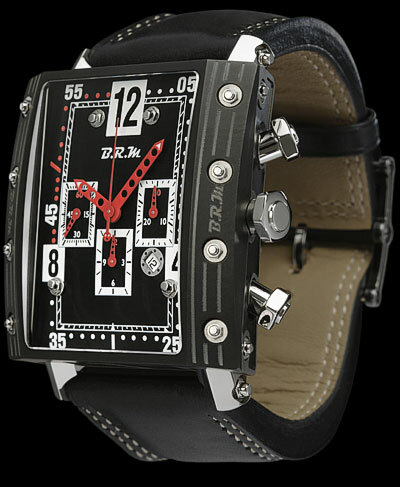 Built by the renowned Swiss DMC Group for Tag Heuer. 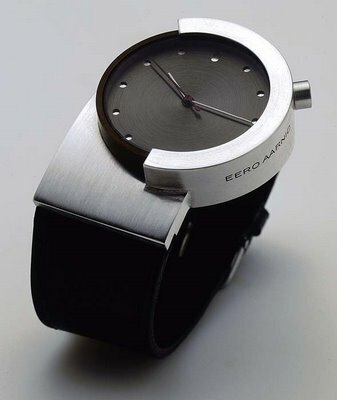 They have thrown out the traditional pinion based mechanics and invented a new method of automatic timekeeping, the first patented belt transmission wristwatch. Powered by an oscillating linear weight that falls back and forth within the central shaft - transmitting the energy to the four ball bearing barrels. All part of the mechanical revolution in watchmaking where everyone is trying to reinvent the wheel - but this time with belts. 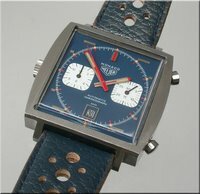 Originally inspired by the 1969 Heuer (pre-Tag) Monaco made famous by Steve McQueen in his race car flick 'Le Mans'. They also reproduce the original Monaco more faithfully. 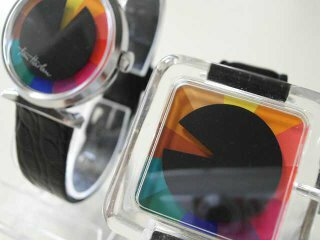 Originally conceived as the 'Colour-Time' clock sculpture at the 1972 Olympic Games in Munich, Tian created over 100 variants of the watch (and clocks) through the eighties. The Christian Dior House designs 50 ladies watches for Bulova in 1971, mostly asymmetrical in design finished with brushed chromium or goldplated cases and a few very rare solid gold & silver. 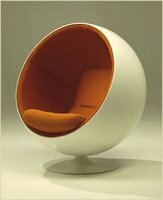 Eero Aarnio, most famous for creating the era-defining Ball Chair of the sixties along with Stepan Sarpaneva, a talented Finnish watchmaker created this one-of-a-kind 2001 'Proto' based upon Eero's original designs (pictured below). 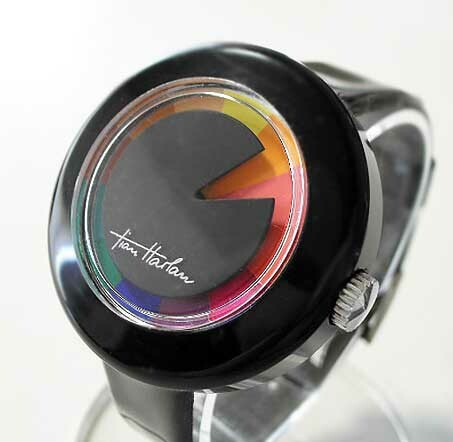 And today, they are teaming up to continue a more classic watch as well as further developing variations of this original Prototype for limited production. Will report more about that in 2007! 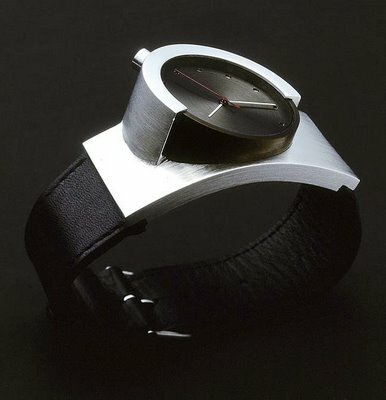 The case, handmade from brass, rhodium plated and curved to the wrist measuring 55mm long. A partially sheathed dial cylinder is asymmetrically placed off the case and tilted towards the viewer - powered by an automatic ETA 2892 movement. Brrrmmm Brrrooom! 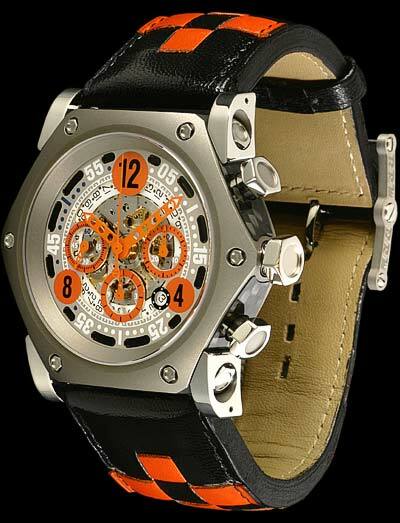 B.R.M., even the initials of Bernard Richard's relatively new watch company sound like a race car. Their modest credo states, "The superior mechanical performance unites with the human desire to surpass ordinary expectations: to push the outer limits of human indulgence!" 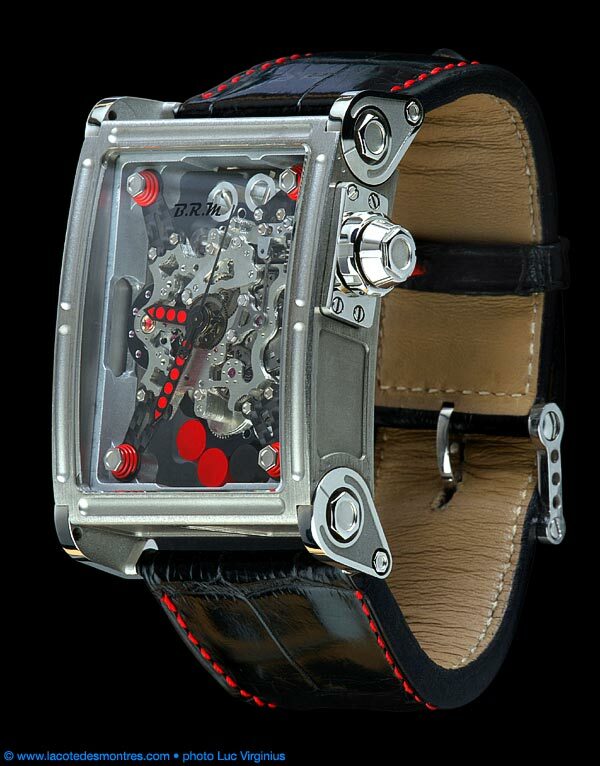 In tune with the rabid trend of high-end sports car themed timepieces, the 30-months-in-development 'Birotor' is actually built with a shock absorber system amidst other automobilistic mechanisms. 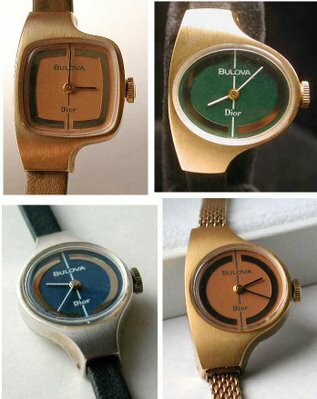 Below are part of the current line of B.R.M. Undeniably Verner Panton-esque 1968 ball wristwatch by Vendome. 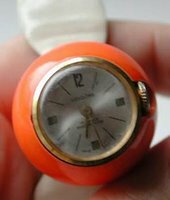 Awkwardly sitting over one inch (25mm) off your arm, this bright orange lucite sphere with Swiss mechanical winding 17 jewel movement was once part of my personal collection - recently rolled onto another wrist. 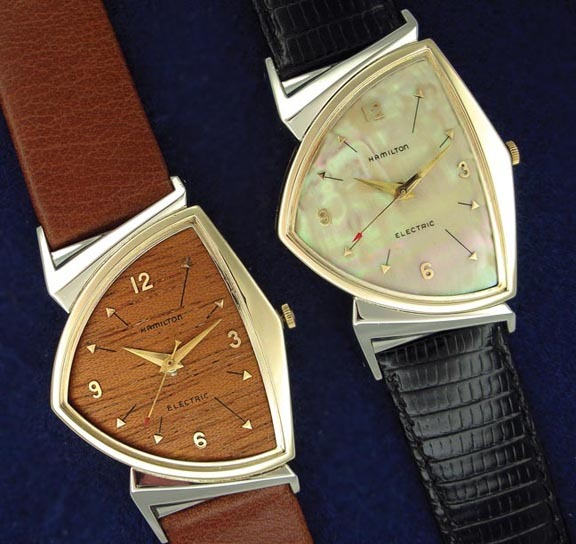 Featured in the recent expanded & revised edition of Rene Rondeau's essential Hamilton Electric book, "The Watch of the Future", are these very rare prototype mahogany and mother-of-pearl dial Hamilton Electrics. 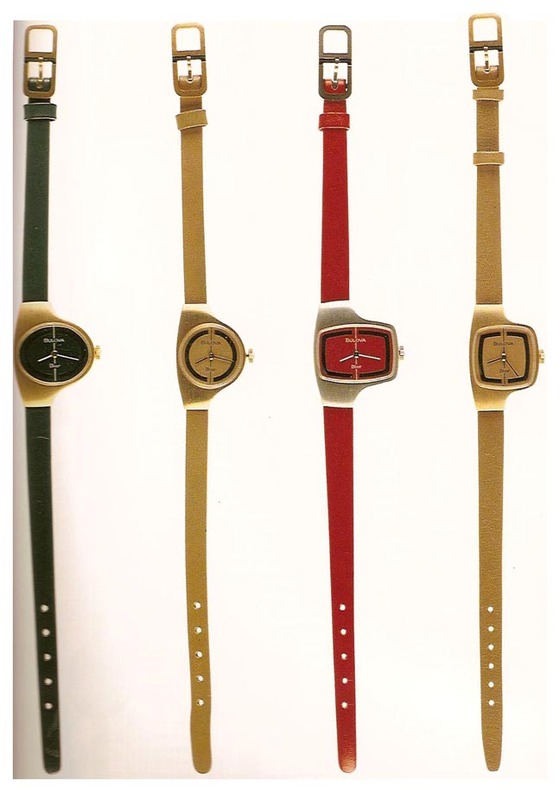 Although shown here in the Pacer and Flight cases, they were part of an experiment in the Sherwood wood-dialed series (shown on bottom). 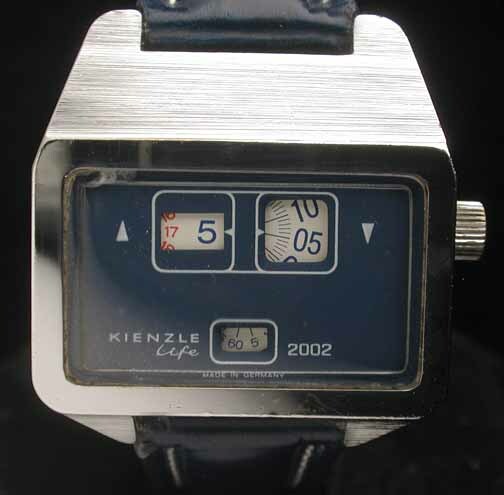 Kienzle - A German company that manufactured everything from early computers to dashboard clocks for VW, Mercedes and Porsche ventured into 'wrist dashboards' with this 1972 'Life 2002' mechanical digital jump hour wristwatch. 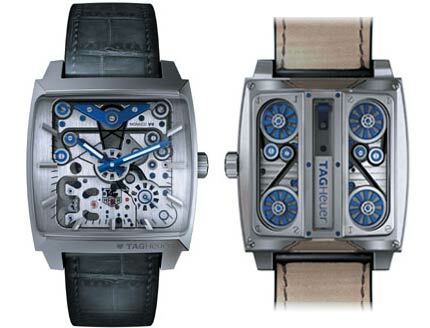 An enormous asymmetric case with separate windows for 12/24 hours, minute and seconds disks. An odd bird called the Anker 'Alldate'. A unique combination of rotating day-of-week bezel and day-of-month interior bezel. 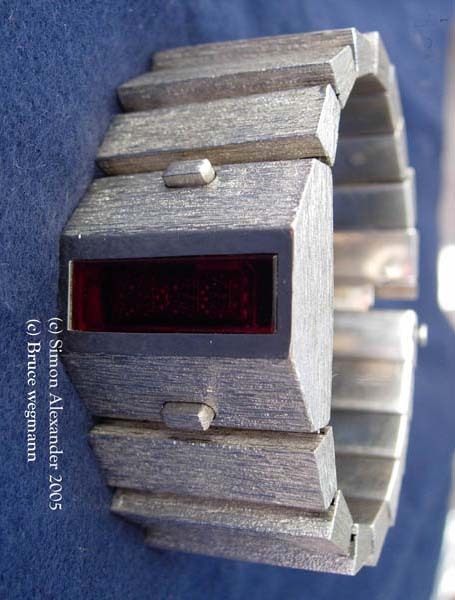 Andrew Grima, modernist jeweler and holder of a 20 year Royal Warrant of Appointment to the Queen of England. 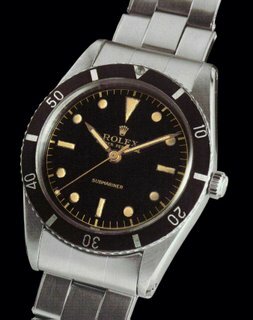 Grima created some of the rarest watches of the sixties and seventies - Most were one-of-a-kind private commissions and all are made from precious metals or gemstones. 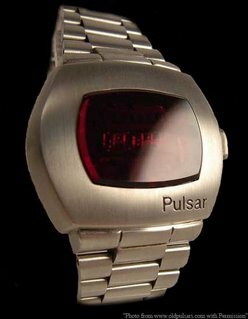 Pulsar Time Computer commissioned Grima in the mid-seventies to create a small variety of solid gold LED (light emitting diode) wristwatches. Only surfacing in recent years after a liquidation of a Middle East jeweler's estate. 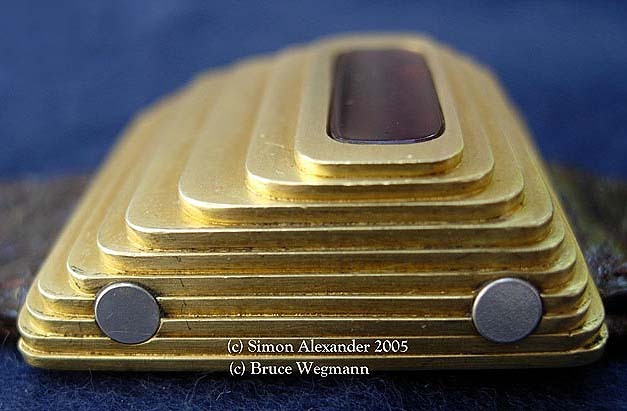 All are one of a kind and part of Simon Alexander and Bruce Wegmann's important collection. 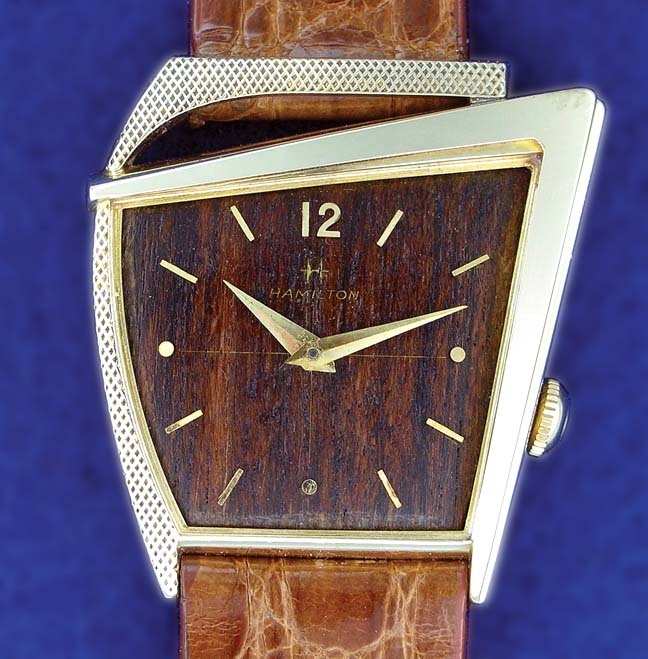 Grima collaborated with Omega in 1969 for the 'About Time' series. 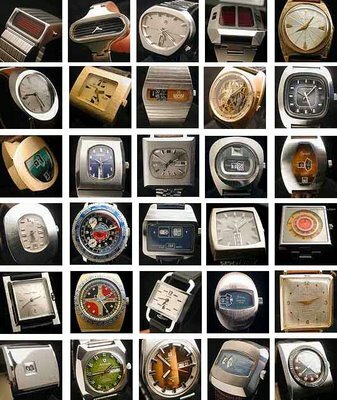 Designing 85 one-offs built by 64 craftsmen in one year. 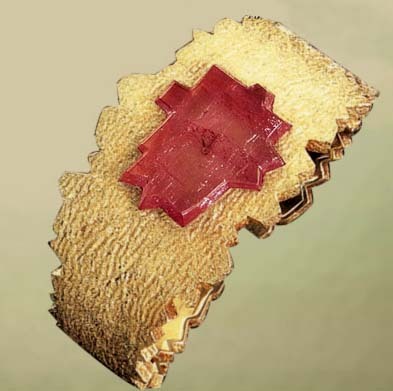 All featured watches under gemstones instead of glass and one was fitted with a 28-carat emerald crystal. 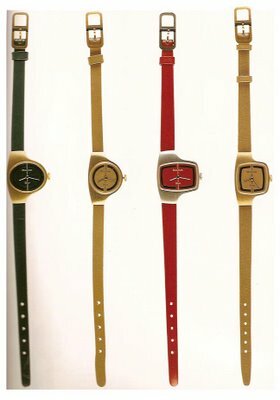 Very little is known about the Grima models but I've been told by an Omega representative that a book is currently being written featuring many of the 'About Time' line. 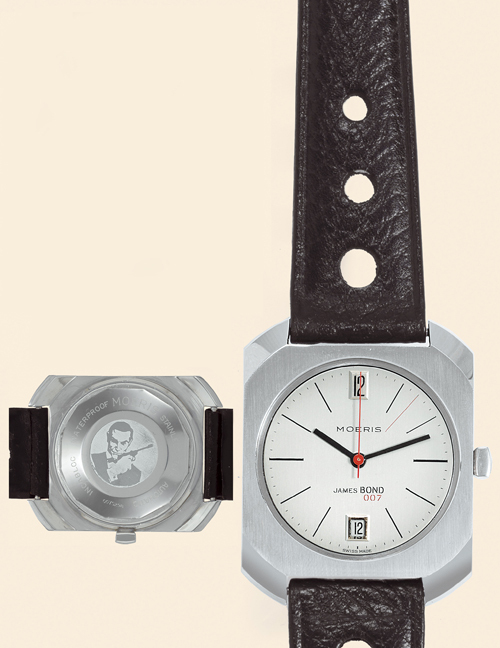 Spy watches weren't only for the fictional British Secret Service, Gilbert built a surprisingly innovative mechanical wristwatch for factual kids. 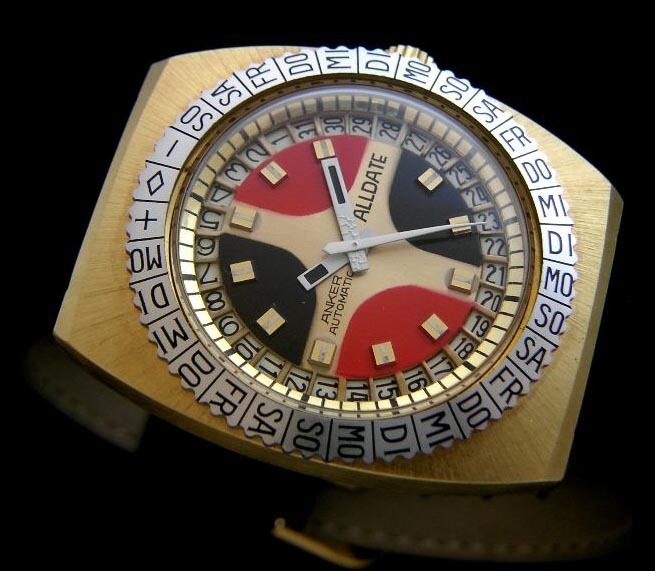 A mystery dial featured a disk with a hole cut out revealing the 'jump' digital hour, analog hands, world time (necessary feature for spies) and best of all, secret sliding sighting lenses. Good condition models go for over $500 now. A.C. Gilbert Toy Company built their empire with the Erector Set in 1911. 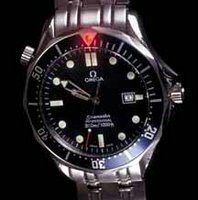 James Bond generally prefers wearing a Rolex Submariner or Omega Seamaster throughout the series but when issued a specialty watch from Q-Branch, 007 has worn every gadget from Geiger counters to circular saws. 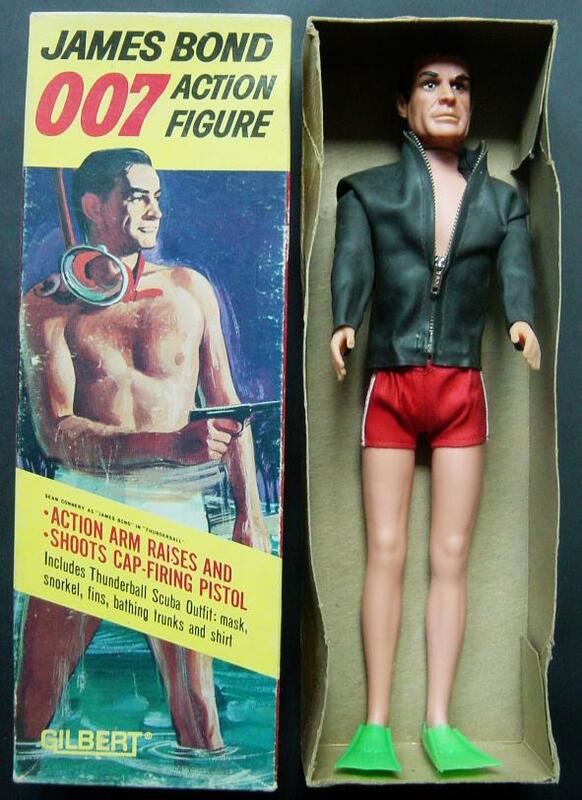 Interestingly, the first James Bond, 'Dr. No' had no real gadgets at all. 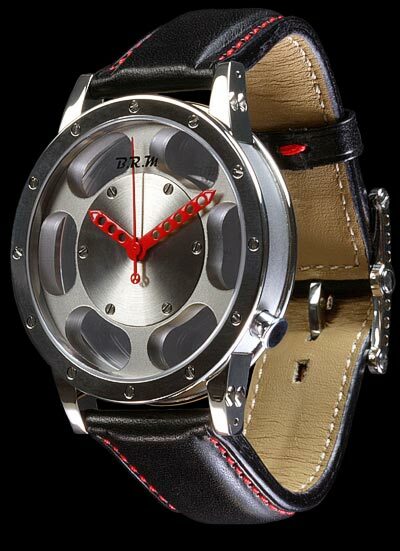 1963's 'From Russia With Love' is the first 007 movie to introduce a multi-function watch, only it's worn by the villain, Red Grant. Fitted with a retractable piano-wire for strangulation. Grant tried to strangle Bond with the wire aboard the Orient Express during a fierce battle. 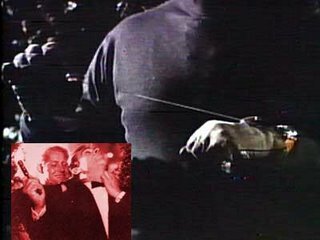 However when Bond was being choked, he grabbed for his throwing knife and stabbed Grant in the leg, snatching the wire and strangling him. 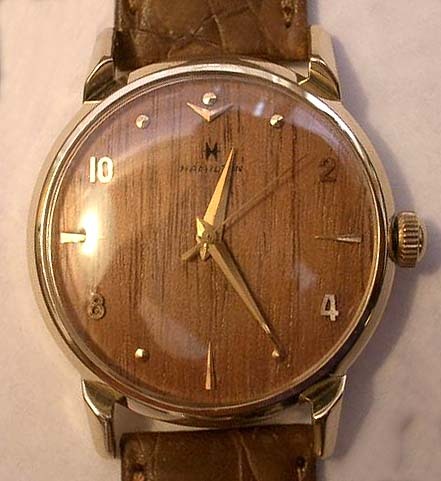 An ordinary looking wrist watch, but on the side of it was a small tab, when pulled, a long steel wire would retract like a tape measure. 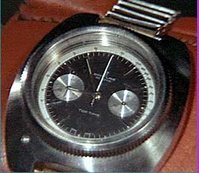 Bond gave the camera to Domino, with instructions to turn it on whilst aboard the Disco Volante, Domino did this and the device worked well. However Largo came into the room, Domino dropping it in fright, Largo was not a fool and heard the distinctive clicking noise of the Geiger counter. And began to torture Domino, who was saved by Kutze who had a change of heart when the bombing was ordered. An ordinary small camera, common to the one's carried by tourists. 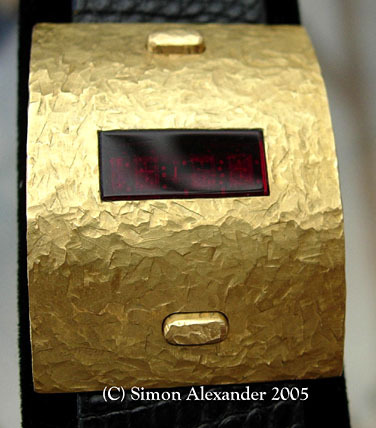 However it contained a Geiger counter device, with it's reading gauge around the bezel of the lens. 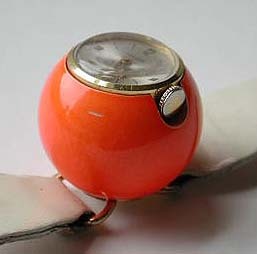 This device was used to dispatch Bond back to headquarters. He was required to "pull out" of his current "mission", in a warmed up log cabin with a stunning blonde KGB agent. 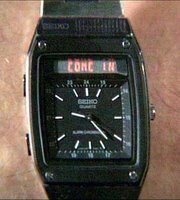 A digital watch with an in built satellite link, short messages could be sent from MI6 and printed from the watch on a thin spool of tape. Bond and Holly Goodhead were trapped inside the bunker of a space shuttle's launch pad, under it's rocket boosters. Time quickly running out, Bond removed the explosive, stuck it to a welded exhaust grate and blew it off the wall, making for an easy escape. 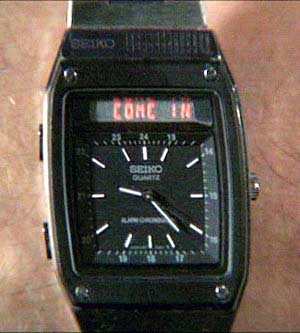 A digital watch, with an extended back-plate that could be removed to reveal a small but powerful explosive charge and a detonator wire. The explosive is removed and the detonator wire plugs into the side of the watch, a button detonates the explosive at a safe distance. 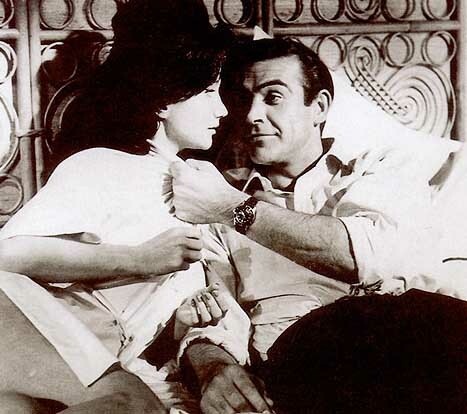 Bond used the wrist dart gun 3 times, once saving his life. Firstly he tested it out in M's office by firing a dart into a painting. Bond's life saving came, when he was in a centrifuge, the control room was taken over by Drax's henchman Chang, who turned up the G's to a lethal volume. 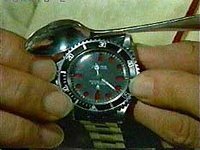 Bond flicked his wrist, firing an amour piercer into the overridden stop button, stopping the machine with a short circuit. 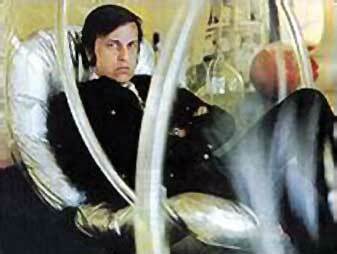 Lastly Bond used a poison tip to kill Drax, firing it into his heart and forcing him though an airlock into space. A small gun like device propelled the darts by using pressurised gas, good for 10 firings before refill. The poison tipped darts, were coated with concentrated cyanide, the amour piercing dart had cores of depleted uranium - like the ammunition used in large bore military machine guns. 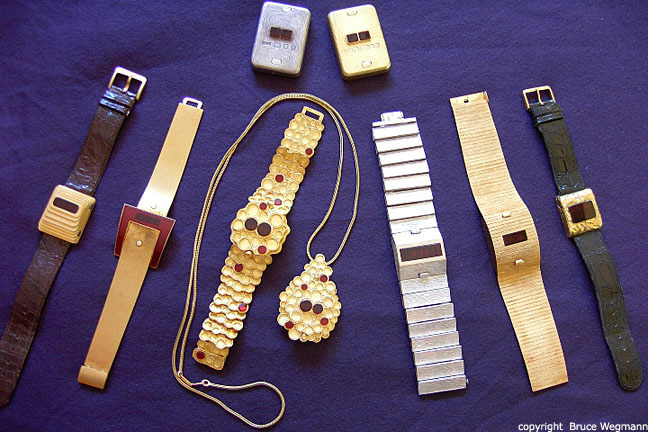 A newer version of Bond's mothballed ticker tape watch, the Voice Link watch. 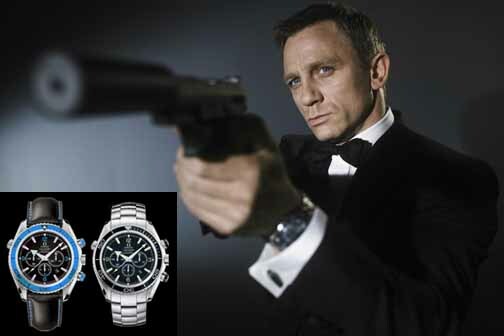 Beeped at Bond, just as he was ready for a moonlight swim, Bond threw the watch to Melina Havelock's pet parrot. 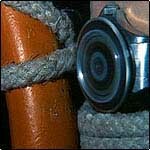 None other than Margaret Thatcher was on the other end of the line from 10 Downing Street, where Q had wired up the phone to the satellite link. 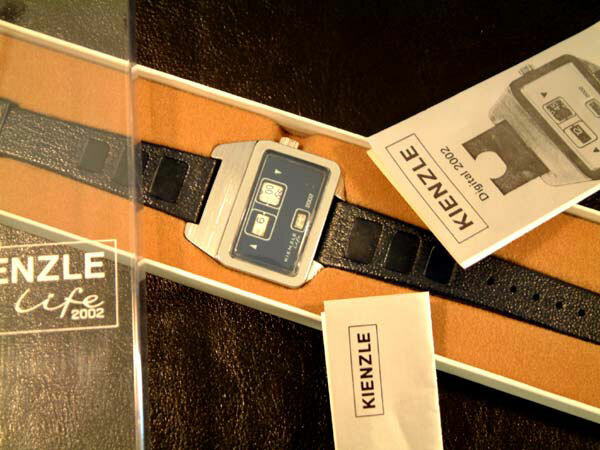 A digital/analogue combination watch, with a built-in satellite phone to receive calls direct from MI6. 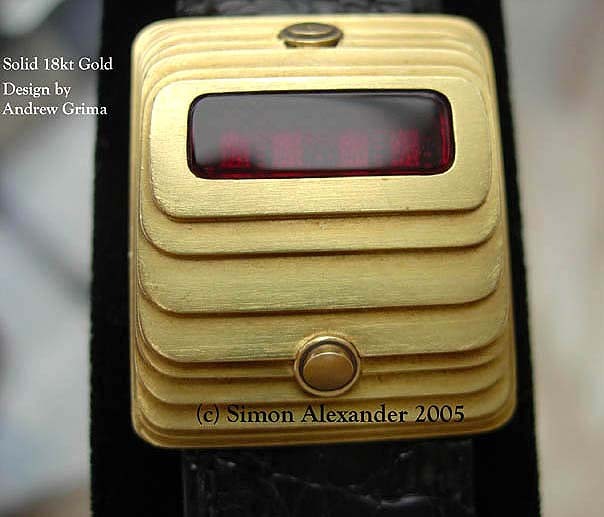 "Goldeneye": When Bond and Natalya got trapped inside the ICBM train, surrounded by one-inch thick amour plating. 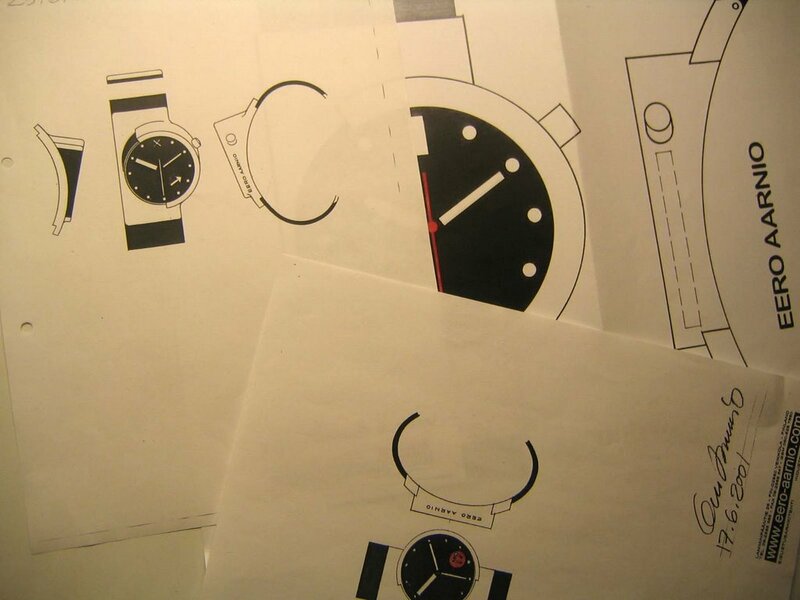 As Natalya pounded away at a computer keyboard trying to trace Boris' location, Bond activated the laser cutter on his watch and proceeded to cut a manhole in the floor of train. With seconds left, Bond ripped Natalya away from the computer, the two dived through the man hole, and ran from the train seconds before it exploded. 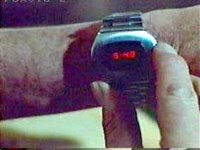 Later in the mission, Bond had a series of magnetic mines activated in Trevelyan's HQ, and his watch could arm or disarm the mines. Trevelyan, being a former MI6 agent, knew about Bond's watch, he took it from Bond and disarmed the mines. 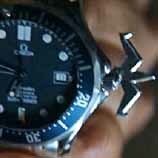 "Tomorrow Never Dies": Bond picks up a new version of the Omega courtesy of Wai Lin's stock of gadgets. Bond uses the detachable remote detonator to make a booby trap with a grenade and a glass jar. 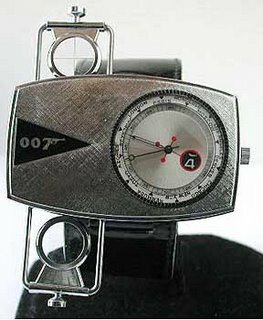 When Bond needs a diversion after Carver shoots his hostage, Gupta, 007 triggers the detonator causing the grenade to pop free and self-arm. 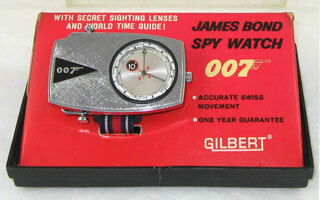 "The World Is Not Enough": Bond first uses the watch to illuminate the inside of the inflated bubble ski jacket whilst himself and Elektra are trapped in an avalanche. 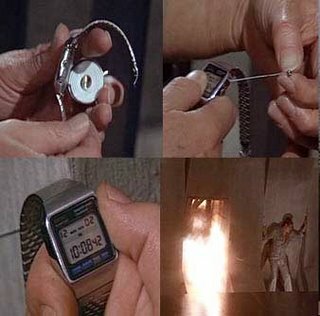 The watch is useful later, when stuck in an inspection pit in the nuclear bunker, Bond fires the piton wire to jump 50 feet. An Omega Seamaster with blue face and bezel. 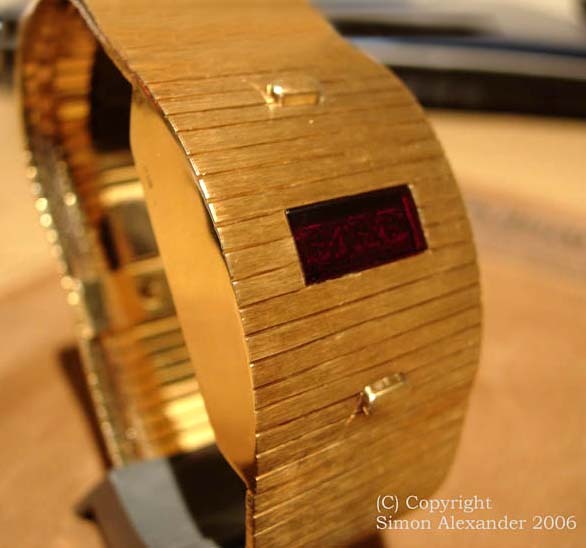 Modified to incorporate a high-power laser diode, capable of cutting through two inches of steel. 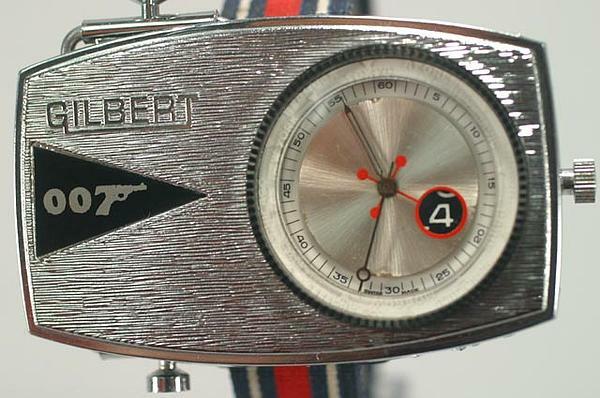 It was also equipped with a button used to arm and disarm the magnetic mines. Wai Lin's gadget masters incorporate a detachable detonator into the watch for "Tomorrow Never Dies". Bond notes they have a newer version than his Quartermaster at MI6. For "The World Is Not Enough", the watch is fitted with a miniature grappling hook which includes a 50 foot high tensile micro filament, able to support 800 pounds. Bond puts this into use to escape a potentially explosive situation. 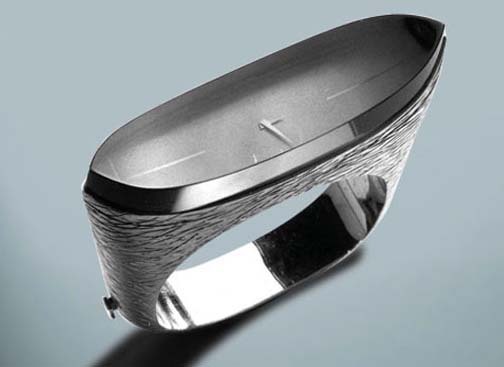 Q-Branch has also incorporated dual high-powered lasers into the design, and the casing is made from titanium.